PRE – ORDERS only now. Shipping in December. Bringing the body into lotus pose is NOT easy! And sitting there comfortably for more than 60-seconds can be like a tapas practice of will and determination. 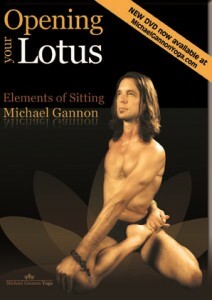 Gannon’s Opening Your Lotus sequences use intelligent seated poses to slowly, slowly free the restricted parts of the body that need to be loose to come into lotus and sit in peace. We can then use this new seat to ground ourselves for pranayama and meditation practices. 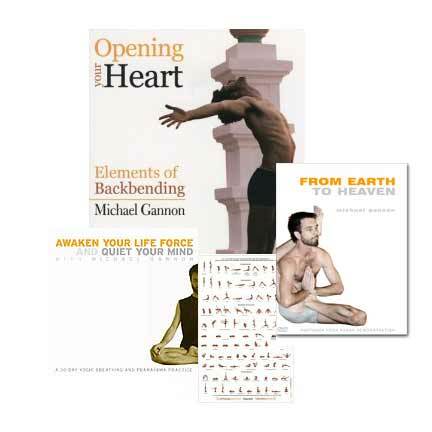 An invaluable tool for all level yoga practitioners! A Two DVD Set, delivered on a single High Density Disc. EKO Design: No plastic packaging waste! All recycled card stock.